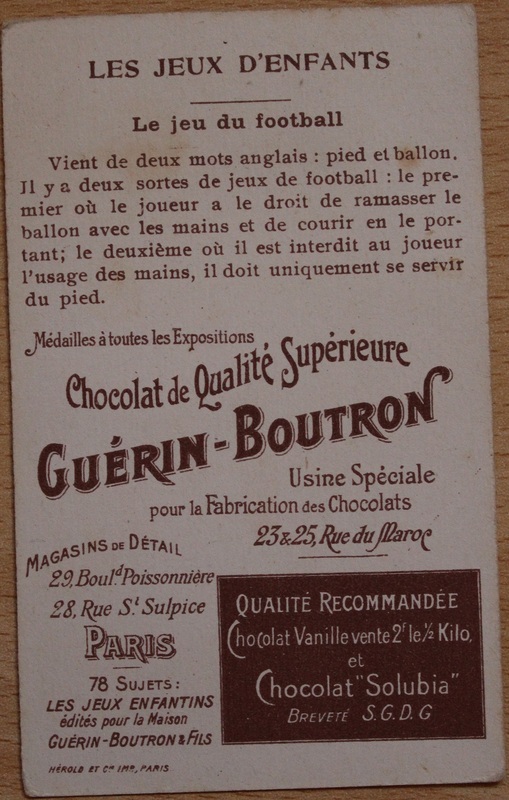 These two cards were produced for French Chocolatiers Guerin-Boutron. 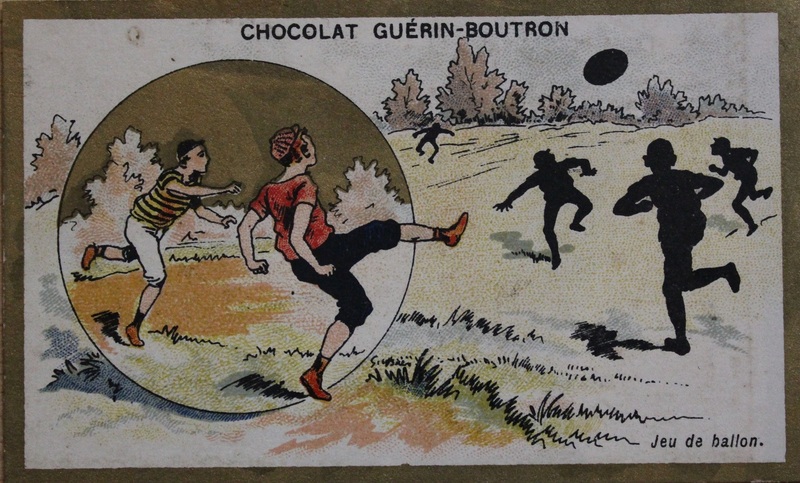 Located in Paris the company which was founded in 1775 would use popular images to advertise their Chocolate. 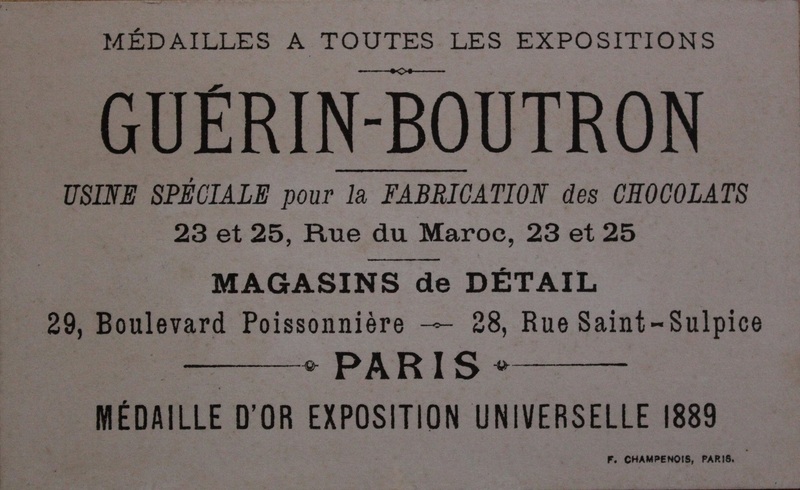 This card was produced for the Dijon based Biscuit manufacturers ‘Biscuits Pernot’. 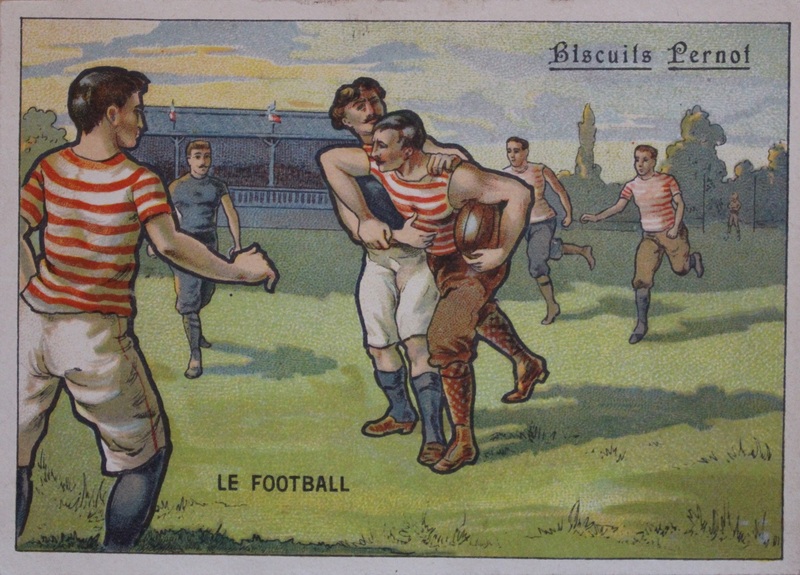 This image was originally used in 1892 by French magazine ‘L’Illustration’ to illustrate the match between Stade Francais and Rosslyn Park from the match played in Paris. 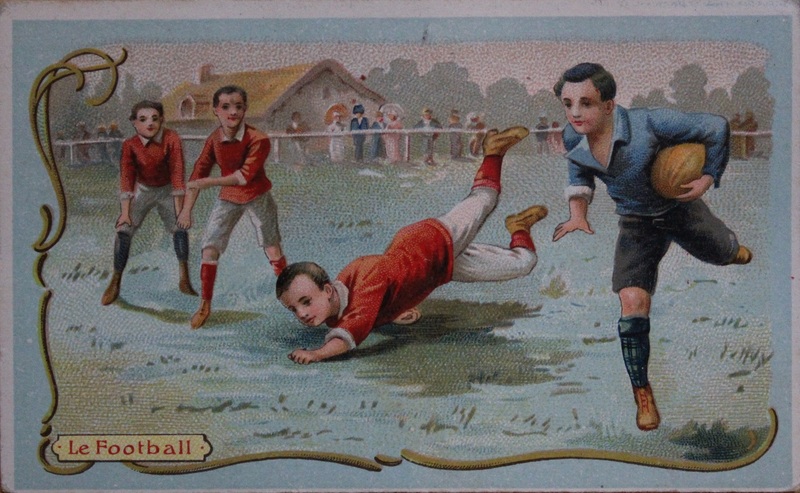 Thank you to Ian Bridges for the images.